A good makeup application, without a doubt, lies in a good makeup applicator – find a good brush and you’re pretty much set when it comes to having a good makeup day. I tend to think brushes as a bit of a beauty investment – it’s something worth spending a little bit more on and then looking after the brushes to make sure they last for as long as possible. I definitely have too many makeup brushes, but I have staples that I reach for every day and that I would recommend above any others. Although not technically a brush, I wouldn’t be without my beauty blender – it’s the best in my opinion and I use it for so many things – colour-correcting, foundation blending, under eye concealer and for setting with powder. It’s one of the best (hiding in a recycled Malin + Goetz candle) and I will forever repurchase. For applying primer I like this duo-fibre brush and I also adore the powder brush from the same line. The bronzer and contouring I love the Tilbury powder + sculpt brush because it’s the perfect shape for nestling into cheekbones and it blends powders out really well. I need to try more Tilbury brushes because this one is gorgeous. For blusher, an old favourite is the Nars Yachiyo brush, which is just the best shape and texture for diffusing colour across the cheeks which means it works well with both sheer and brighter blushes. Lastly for highlight, I find the Morphe M510 is the best for applying highlighter exactly where you want it and works all over the face without putting down too much pigment. For eye shadow I rely on three brushes, and they’re all from MAC. It’s nothing groundbreaking but they get the job done every time, wash well and last for years. For applying shadow on the lid I use the 239 which is a flat shader, coupled with the 219 for adding shadow onto the lower lash line or for carving out any shadow. Then for blending and adding a definition shade, the 224 is the best I’ve tried. 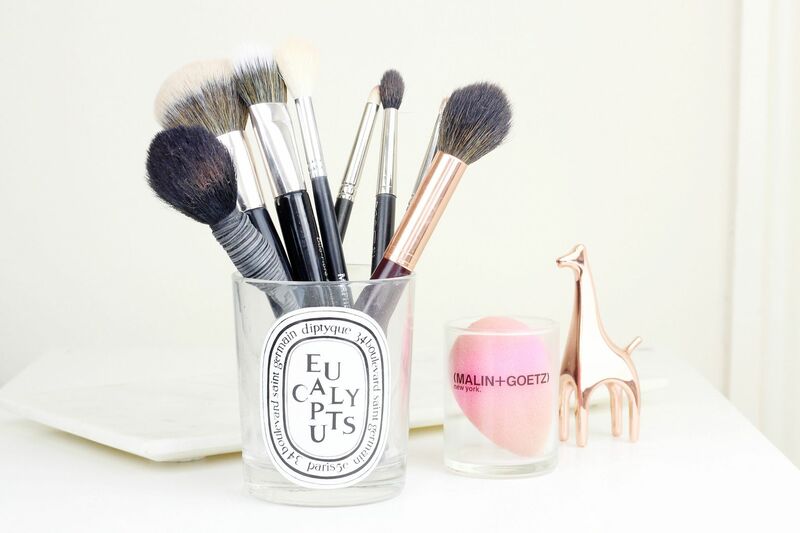 Do you have any favourite makeup brushes?